Artificial intelligence innovation is at the forefront of the modern technology focused company, and Wayfair's Chief Architect is excited about how it's propelling the business forward. 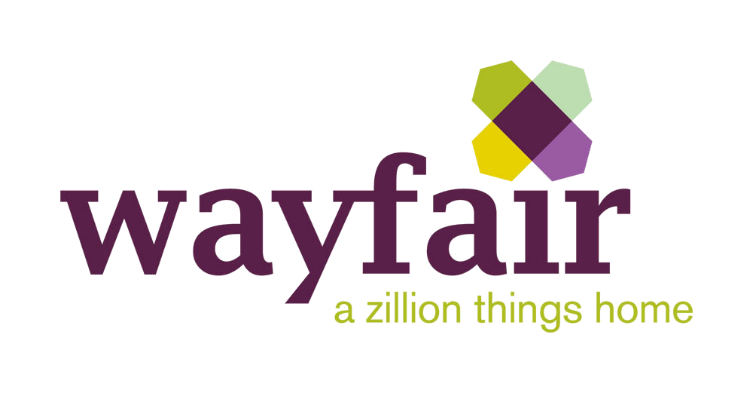 Home furnishing ecommerce platform Wayfair was founded in 2002 by Cornell graduates Niraj Shah and Steve Conine. The company, initially named CSN Stores, launched its first website - racksandstands.com - selling storage furniture such as media stands soon afterwards. The following year, the company added patio and garden supplies to its portfolio, opened another three online stores, and from there diversified to include home decor, office, kitchen, and dining furniture, home improvement goods, bed and bath materials, luggage, and lighting. Today, Wayfair operates in multiple countries and employs over 5,000 people. The Boston-based company has revenues of $3,380 million, placing it at #666 on the Fortune 500. It seems that companies today are positively dripping with Chief-type job titles which would not have existed just a decade ago. The influx of new positions and their associated departments is indicative of the upheaval that industries are going through in terms of how digital technology is changing the way business is done. A definition of 'Chief Architect' is tricky to pin down, as the role can involve wearing several different hats. However, Chief Architects essentially work in that space between the brainstorming session, in which new ideas are considered for implementation, and those ideas then being brought to life. "Chief Architect is the most fluid of the commonplace Chief titles in the industry," said Wayfair's Chief Architect, Ben Clark. "It can mean a wide variety of things at different companies, and I have responsibilities not frequently tied to that title. But it's basically about architectural direction, road-mapping, and constant probing for soundness of the ideas that we're turning into living, breathing systems at Wayfair." While some Chief Architects can take a very managerial approach to idea development, it's not necessarily the best way to tackle the role. Some argue it's better to think of oneself as a 'guider of ideas'. "There are Chief Architects who are very controlling, but that's not really my style," said Clark. "I think we get a lot of benefits from the bottom-up innovation that comes from all the members of our team. But we do need to get some focus and synergy and make sure all the different threads are coming together to participate in our strategic goals of delivering a terrific experience to all our customers." One of the innovations Wayfair's Chief Architect has been responsible for implementing is the artificial intelligence-driven "search with photo" feature in Wayfair's mobile app. Using the service, Wayfair customers can take photos of furniture they like the look of and find similar products in Wayfair's huge portfolio. Powered by a complex neural artificial intelligence network, yet simple to operate for the end-user, the search feature allows customers to find a desirable product on-the-go, whenever and wherever inspiration takes them. "We know that everyone has a unique vision for their home and that ideas and inspiration can come from anywhere - a sofa in a friend's house, a Pinterest board, a barstool at a favorite restaurant, or a pillow featured in a design magazine, can all spark ideas for decorating one's home," said Steve Conine, Co-Founder and Co-Chairman at Wayfair. "And while finding a look you love may be easy, finding the specific products to bring that look to life can be time consuming and require a lot of searching. With visual search, shoppers can now search for and find a particular product or style instantly." With the role of bringing great ideas such from conception to fruition, Chief Architects are driving the innovations which are shaping the future of ecommerce. The final word goes to Ben Clark. "We're certainly going to continue to push the consumer-facing side of things in areas of visual search and AR/VR - augmented reality and virtual reality. But there's a broad range of things we're working on [that enable those areas]. And I'm going to continue to push the testing-based program both for capacity planning and soundness of the systems we're standing up." You can hear Wayfair's Chief Technical Officer, John Mulliken, speak at eTail East 2018 this August at The Sheraton, Boston, MA.